Did you just set up a Shopify Store? Are you staring at a big round “zero” on your Shopify’s Sales Dashboard? It could be depressing, to say the least. But that’s where everyone starts. You could do all the tootsie stuff like writing blogs, getting on social media, answering questions on Quora, trying to work on your SEO, and whatever. It’ll take you time, but you just don’t have enough of it. You’d stand on top of a building and shout, but I don’t think you are going to do it anyway. 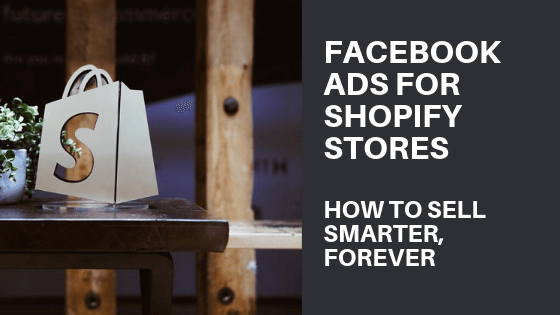 Running Facebook Ads to get traffic (and hence leads and sales) to your Shopify store is the simplest and fastest way to get some action on your store, generate leads, and make some sales. You might not be profitable right away (thanks to the ever-increasing cost of advertising on Facebook and even more monstrous costs on Google Ads), but it can still be done. It’s mind boggling just how many different connections you’d need to make just to be set up properly. But none of it is rocket science; it’s just that it’s all over the place). A Shopify store with products, ready to sell or to download. Complete setup on the Facebook Business manager. Login to “business manager” at https://business.facebook.com. If you are signing in for the first time, be sure to claim your Facebook business page and claim/create your Facebook ad account. Login to your Shopify store and connect your Facebook with Shopify. Go ahead and sign up with Drip or MailChimp. Pick your poison, but I recommend Drip. Then, Integrate Drip with Shopify. The days of put campaign on → making sales are over. Like, it was over several years ago. The first big shift is to understand that all of your campaigns are no longer stand alone. The average U.S customer has at least 2 devices (going up to 3). More than 33% percent of people look at your ad on mobile but complete the purchase on desktop (or larger device). Facebook provides you with various types of assets (ads) that you can use to launch ad campaigns. Images, videos, carousel, collections, instant experiences, lead generation forms, and so much more. Start with Image ads maybe. Or use native videos on Facebook work great and they are known to get you results. If you don’t have a video, you could use Facebook’s video creation kit (found inside your ad manager while you set up campaigns) and make your images work like video too — complete with your logo, branding, etc. Objective of these campaigns: Get traffic to your e-commerce store. Type of ads you’ll run: Facebook Image Ads, Facebook Image ads, Facebook Collections, Facebook Instant experiences. Optional (recommended): Add Instant forms (or Lead Gen forms to all your campaigns) with a specific offer (depends on your business) so that all the traffic that comes in has an incentive to sign up and get into your email list. Objective of these campaigns: Get previous traffic and high-intent audiences back to your Shopify store. Type of ads you’ll run: Product Display Ads, Dynamic Ads, Facebook Image Ads, Facebook Image ads, Facebook Collections, Facebook Instant experiences. Optional (recommended): Cultivate and work with your audiences, include lookalike audiences, and more. While your top-level, Top of the funnel campaigns help work for Branding, Reach, and traffic, your secondary, high-conversion campaigns are a slightly more focused job to do. Most of your secondary campaign types will fall into the “retargeting” category. Depending on how simple or complex you want to keep your campaigns, even your secondary-level campaigns can be broken down into various layers. Added item to cart but didn’t buy. (Layer 4) or Initiated Checkout but didn’t complete. Your Middle of the Funnel campaign is usually good for Layer 1 and Layer 2. For the purposes of this blog post, we’ll consider only those visitors who visited your store (thanks to your top-level ad) but didn’t check out or add items to cart. Now, your specific retargeting campaign (again using any of the options available to you) will only target this specific audiences (with a time-frame such as within the last 30 days, 60 days, or within the last 90-days) and show them specific ads targeted for them — your ad design and copy will now change. Maybe you sweeten the deal with a limited-time offer only to these audiences. Perhaps, you’ll throw in a bundle of products available at a special price only for these audiences. Objective of these campaigns: Get Sales, Upsell, Cross-sell, order Bumps, & more. Type of ads you’ll run: Product Display Ads, Dynamic Ads, Facebook Image Ads, Facebook Video ads, Facebook Collections, Facebook Instant experiences. Your MoF campaigns focus on relatively larger audiences such as those who visited your store but left without doing anything or those that browsed products but didn’t add items to cart. Meanwhile, Bottom of funnel campaigns are ultra-specific, if anything. Letting existing customers of a particular product to buy accessories. To be honest, it’s these campaigns that actually make you money. While it’s not to say that the other campaigns don’t, because they do, it’s the middle of the funnel (MoF) and Bottom of the Funnel (BoF) funnels that high-precision, relevant, targeted, and money-making campaigns for e-commerce stores on Shopify. Objective of these campaigns: Nurture leads, engage with customers, make sales happen. Type of Campaigns: Email Marketing (Including RSS-to-email campaigns, transactional emails, autoresponders, retargeting emails, and more). Optional (recommended): Integrate and track campaigns. Notice what’s happening with your paid traffic campaigns: You are launching ads on Facebook (or on Google) to target potential customers. They arrive on your Shopify store, browse products, add items to carts. Some will buy and some will not. What are you going to do with all those people who arrive on your site and leave? Even after trying to bring those potential customers back with retargeting campaigns, you are still going to be left with many people who don’t make a purchase right away — for whatever reason, they are going to take a while to purchase. That’s why you need a pipeline for your business. You build that pipeline with email marketing automation. Connect email marketing provider like Drip with your Shopify store and let email marketing do its magic. 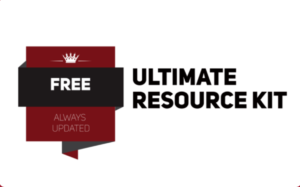 Use Unbounce, Leadpages, Sumo, Opt-in Monster, Sleeknote, Divi’s bloom plugin, and several other tools to Integrate with Shopify and collect leads. Send a welcome email as soon as they sign up on your Shopify store, sign up using opt-in forms, or Slide-ins. Send order notifications, shipping confirmation emails, and order details emails. Remember, transactional emails such as these don’t have to be boring. Send automated RSS-to-email messages each week, with Workflows within Drip. Launch automated Shopping cart abandonment emails. Of course, there’s more that you can do with Drip. Drip natively integrates with Leadpages (the parent company that owns Drip) — so you get landing pages and email marketing software at the same time. Plays nice. When you connect Drip and Shopify, your whole order history will be automatically synced — a comprehensive order history means you can beef up your segmentation possibilities. Want to pick out all of your customers who’ve placed more than $100 in orders over the past year? Well, now you can. You get complete and detailed records and behavior of visitors. 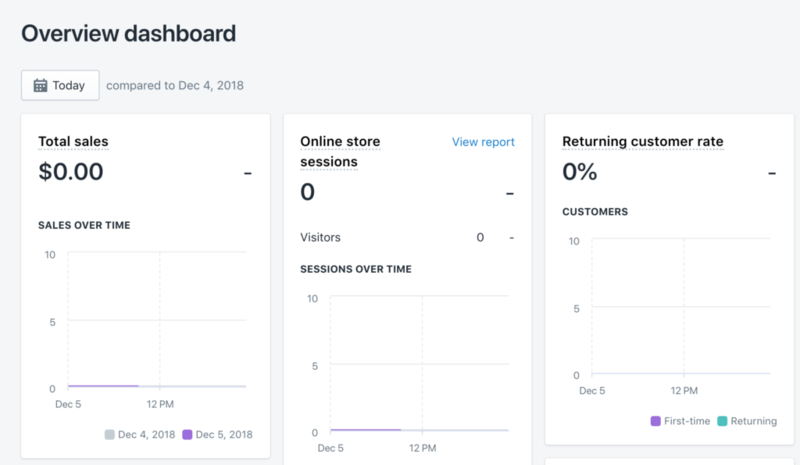 When did visitors first arrive on your Shopify store? What are the pages they browsed? How many visits did it take for a particular visitor before a transaction happened? Earlier, you had to copy a script from Drip and put it on all the pages of your store. Now, it happens automatically. Trigger automation within Drip for product page views on Shopify. Say, your potential customer is checking out Leather jackets, send an email about five hours after they are done browsing. It’s like magic, you see? Segmenting your customers is powerful, and you can do it easily with Drip and Shopify based on your customer activity. Segments could be just subscribers who grabbed a coupon, customers who purchased product X but not Y, customers who purchased product Z at least 6 times in the last 12 months, etc. Once you tag your customers or segment them, you’ll be able to send completely targeted and relevant emails. Read more about how How Drip Integrates with Shopify. How do you promote your Shopify store(s)? Do you take advantage of Facebook e-commerce specific campaigns? Do you market across the funnel spectrum? How are you using marketing automation for your business?